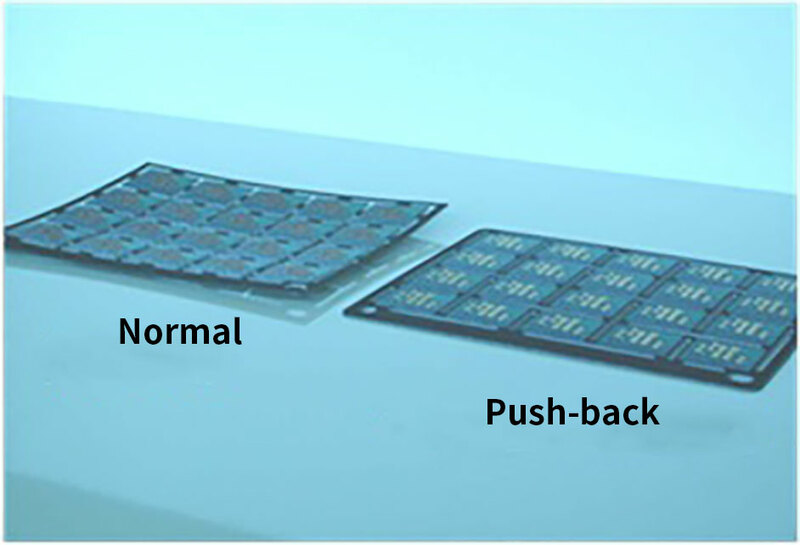 The warp of these push-back PWBs is minimized. Only non-defective sheets can be supplied because faulty products can be replaced. Also half-cut through-hole PWBs can be produced. Also metal PWBs can be produced. Productivity increases because collective PWBs can be produced. Useless chips are not generated, because collective PWBs do not include defective pieces.